Linux provides two ways to handle things, one as a normal user and other as a root user. Most people prefer to keep the root privileges to themselves and create a user account for everybody else. Root user has all the privileges to handle the system while any normal user has restricted access to many things. In this article, I am going to tell you how to Add or Remove user accounts in Linux. You can do it using either the command line or through the graphical way. Note: Sudo command allows a normal user to run commands as a root user under Linux/Unix. You can add or remove user accounts in Linux through the graphical way also. In Ubuntu, Open System Settings > User accounts. 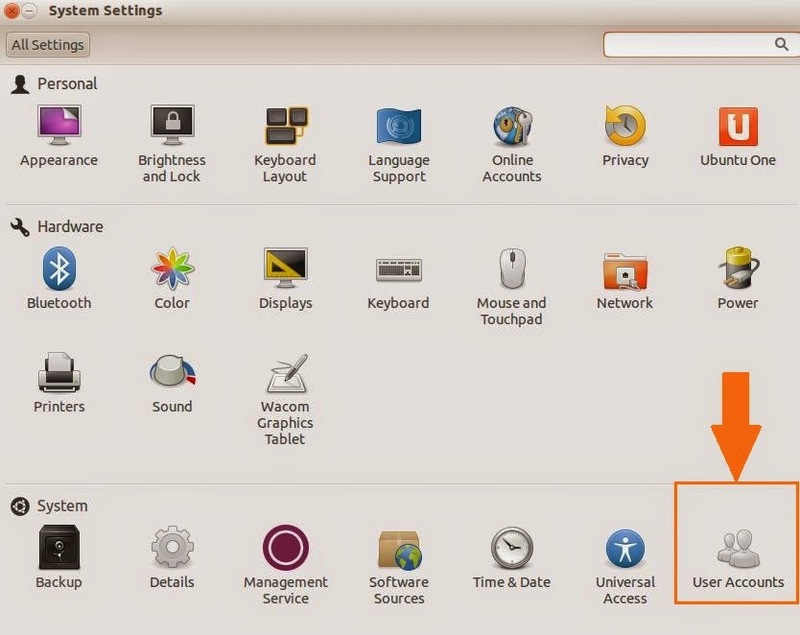 Now, you can add new user here, change password for your Ubuntu System etc. You may also wanna read how to remove application in Linux Mint.